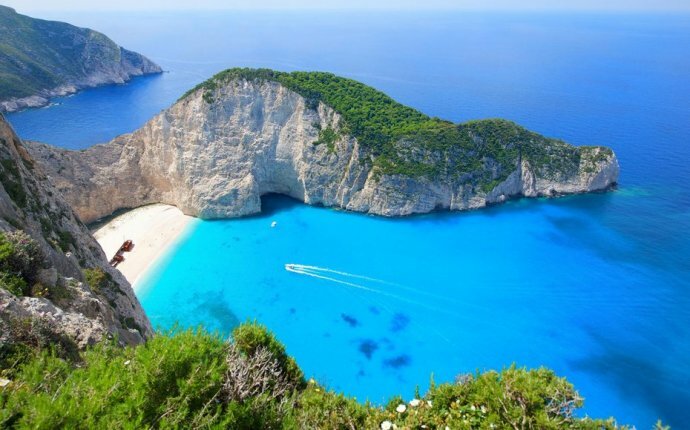 How to Island Hop in Greece? Every island is different and has its own special flavour. I fell in love with Paros, in the Cyclades, before I’d even stepped ashore. After the roughness of Crete and the vertiginous rock faces of Santorini, it has a gentle, laid-back charm, the grass-covered hills rolling down to the sea. The intense heat has washed out a lot of the colour, and on first sight the island has the look of one of those antique, faded photographs, helped by the lack of industry, the lack of anything really that isn’t related to the enjoyment of life. Paros is wonderfully underdeveloped. There’s plenty of space between the houses, almost no graffiti and far fewer of those half-built constructions that disfigure so much of Greece. It took just five minutes and €30 (£22) to rent a slightly clapped-out car at the quayside. It makes me wonder why it’s often such a performance to rent vehicles in this modern age. I’d booked a room at the Yria Resort, a 10-minute drive from the main town of Parikia, and this turned out to be a welcoming and quite lovely hotel with a huge swimming pool and a collection of bright white suites. The ensemble folded into a really beautiful garden made up of lawns and courtyards half concealed by great clumps of bright red bougainvillea and pale blue valerian. And it cost just €130 a night: fairly expensive for Greece, but still good value. Parikia itself was delightful. From the outside, it may not be much to look at, but once you’ve crossed the surprisingly spacious main square – where children kick footballs and practise wheelies on their bikes – and follow the twisting main street, you’ll be surprised how charming it all is. Quite by surprise, I came upon the stub of a Frankish castle, built in the 13th century from leftover bits and pieces whose shapes reminded me of oversized liquorice allsorts. I climbed up through quiet backstreets with washing hanging out on lines, cats stretched out in the evening heat, snatches of Greek conversation coming from behind half-closed shutters, and here and there a sudden glimpse of the sea at the end of a perfectly white alley. 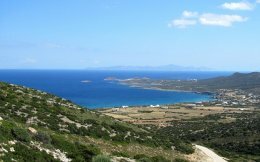 I found a little bar, the Kastro Bistro, tucked away on a slope above a vast seascape and ordered Mythos beer and dakos – barley bread with tomato, feta and olives; a Greek staple. From here, I watched one of those sunsets that make you understand why the Greeks created their gods. There was a scattering of rocks and tiny islands that seemed to become darker as the colour of the sun deepened. A few seagulls wheeled overhead. This is the sort of tourism I most enjoy: free and easy, simply strolling and enjoying life with no tickets to buy for monuments or museums I don’t really want to visit, and no real plan at all. For me, it’s the real joy of Greece. 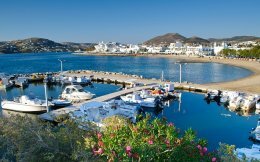 The next day, I visited Antiparos, a quite separate and distinctive island just five minutes away, reached by a slightly antiquated ferry. The main attraction here is a wonderful cave that has a huge stalagmite at the entrance, said to be 45 million years old. Get there early enough (it opens at 10am) and you’ll have the place to yourself, an awesome experience as you follow a modern staircase ever further into the bowels of the earth. Nearby, the Soros Beach is quiet and unspoilt if you fancy a swim. There’s a decent tavern there, too. - What to do in Rhodes Greece? - What is Name day in Greece?